We deal in Fiberglass Tube. Our company is widely appreciated for providing Fiberglass Tube to the clients. This product is manufactured by highly experienced workforce using high quality material and with the help of advance technology. 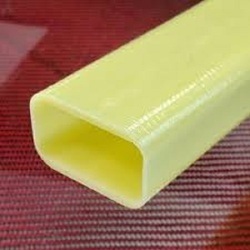 Fiberglass Tube is made available in different sizes, lengths and thickness as per the client's requirements. We manufacture Epoxy Fibreglass Tubes, Pipes and casings for several customers spread all over India. We expertise in manufacturing Epoxy Tubes in 1mm wall thickness mostly used as Ferrite casing in Tube Mills. We can make tube with minimum internal diameter of 6mm and maximum upto 150mm and length ranging from 10mm to 2000mm. With an impressive growth record in this highly competitive industry, we are providing a qualitative range of FRP Pressure Tube. Our company is well known in the market for the manufacture of a superior range of Epoxy Fiberglass Tubes which have been made using the best quality of raw materials which have been procured from well known vendors in the market. These products can tolerate a wide range of temperature and they are non-corrosive in nature. 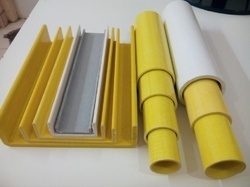 We are engaged in supplying a wide range of FRP and Fibreglass Tubes, which is a eco friendly material manufactured by parchment several piles of paper. Owing to their good insulating properties & internal bond strength these are widely used in electrical appliances. All type of frp products. ex. Frp wheelbarrow, dustbin, frp sheets, swing, slide, see saw, fountains, pot, door, dom, pillars, wall arts, tree house. Owing to our in-depth knowledge in this domain, we are specialized in providing SRBP Tube. We are offering Fibre Glass Tube to our clients.